1. Pinocchio Hat Stand from Lilly & Lolly. 2. Baby Fox Little Darling Photograph Art from Sharon Montrose. 3. This Little House Bed from This Little Love. 4. Heico Large Rabbit Night Light from Infancy. 5. 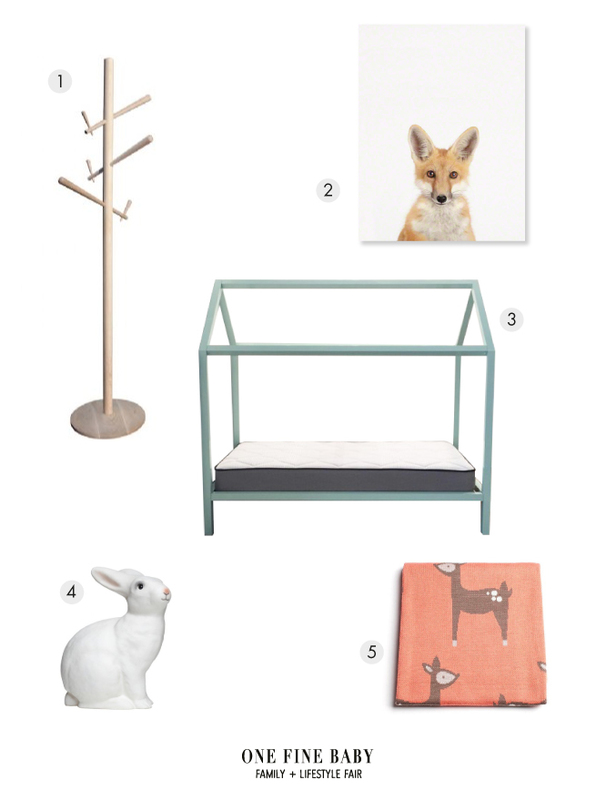 Bambi Coral Blanket from The Supercool.